"There is a huge need for help with children with cerebral palsy. There was agreement on this by all we saw even the Open Arms Infant Home for destitute babies (HIV often) who have 3 children with cerebral palsy and are so keen to know how to help in the practical daily activities such as seating and helping them develop new skills." 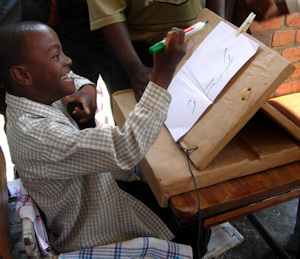 Jean Westmacott visited Malawi from 14th to 19th May 2007 on behalf of Cerebral Palsy Africa. Her mission was to find out as much as possible about what is being done in the country for children with cerebral palsy and what the needs for training are for those people who are working with the children. She found a great deal was being done in both Lilongwe and Blantyre though there are very few staff and a great number of children. What impressed her was the great interest that all those working in this most difficult area have in learning how they can do the job better. 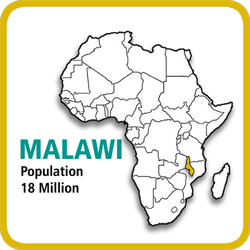 In August 2014, a two part training programme comprising a 7 day therapy training course and an 8 day equipment making course was attended by 21 special needs teachers the Northern and Central Divisions of Malawi. This was the first part of a three year programme funded by the Guernsey Overseas Aid Commission, the Scottish Government International Development Small Grants Fund and the Allan and Nesta Ferguson Trust. As well as the training courses, a number of awareness raising meetings were held attended by a total of 85 people including mainstream teachers. As a result of these meetings, seven members of the community volunteered for training in APT techniques. Contact with those who took part will be maintained though the devastating flooding that happened in January 2015 has made this more difficult. By providing specific training for a number of special needs teachers and raising awareness of cerebral palsy in the wider community it is hoped that the stigma often associated with the condition can be reduced and that parents in particular can learn that there are ways to allow their children to develop their full potential. 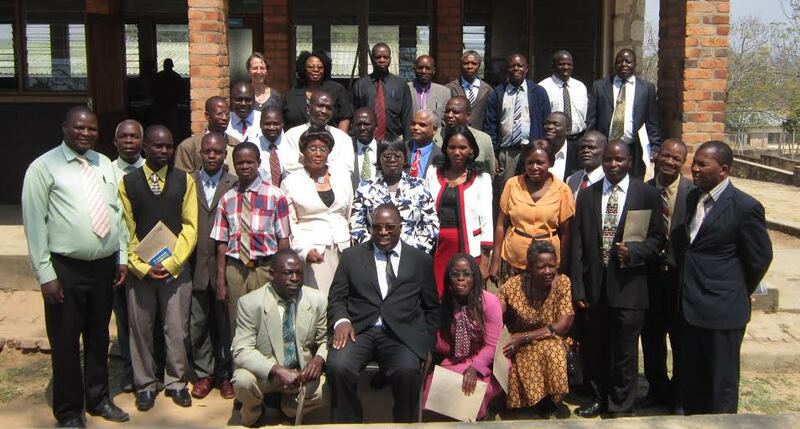 The aim of the full three year project is to establish a sufficient group of trained teachers in Malawi to permit further development to be undertaken within the country. The problems caused by cerebral palsy in Africa are so large that it can sometimes seem that nothing can be done to alleviate them. That's when individual stories can help to show that there is hope for reducing the devastating effects of this condition. 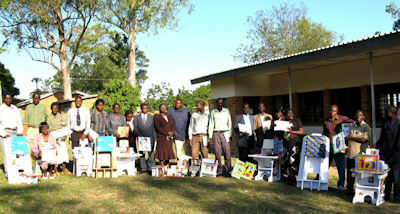 Ruth Manowa is a special needs teacher from Lilongwe in Central Region. She attended the 2014 course and made an APT chair during the course. The chair was made for this boy who would spend most of his time lying on the floor. 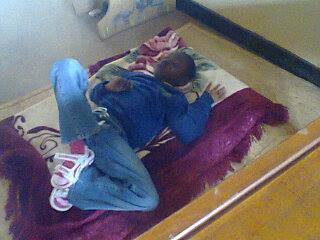 This is very common for children with CP throughout Malawi. Not only does this mean the boy is not in a position for learning but over time his physical condition would deteriorate. This in turn makes handling the child increasingly difficult for his teachers and family. 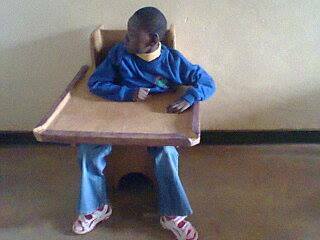 The furniture is made to fit the boy, who immediately looks more alert and ready to participate in learning. He is able to look around and he is learning to maintain a sitting position. In this position he will be more able to use his hands to feed himself and play. He is less frustrated and shows an interest in what is going on. His family will benefit from the improvements for the boy as he will be easier to look after. There may be less stigma from the community because he looks more ‘normal’. This is significant impact for the child and his family from the provision of one piece of furniture.